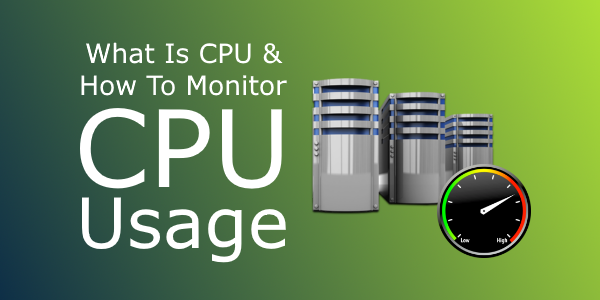 MasayaHost's Blog: What Is CPU And How To Monitor CPU Usage? What Is CPU And How To Monitor CPU Usage? The Central Processing Unit (CPU), or processor, is the portion of a computer system that carries out the instructions of a computer program. It is the primary element carrying out the computer's functions. CPU time is the amount of time a computer program uses while processing the CPU instructions. Learn how it affects your web hosting plan. In terms of your web hosting account, CPU usage is the percentage of the capacity of the server's CPU that your account is generating. The CPU time is often measured in seconds, while the CPU usage – by the percentage of a specified overall capacity. Each web hosting account has a certain CPU usage limit. You can find out the exact CPU limit in the Account Usage table located on the left side of the control panel. Day - you can click on each date for detailed information. CPU Time - the amount of time the CPU has been processing instructions on behalf of your web hosting account. Execution time - the amount of time applications from your web hosting account have been running. CPU Usage - the percentage of the capacity of the server's CPU used up by applications from your web hosting account. Average Memory - the server memory used up by applications from your web hosting account during the execution time. Processes - the number of processes that have been running during the reviewed period. If you select the daily view option, another table is displayed. This table has the same columns except for the first one which shows the hours of the particular day, divided into four periods (0-6, 6-12, 12-18 and 18-24). If you hover the mouse cursor over a particular period, yet another table is displayed with detailed information about each process that has been running during that period. It is recommended that you review other articles about CPU usage that provide detailed information on how it is calculated, how it affects the account and how to reduce it. You also have the option to purchase additional CPU usage.